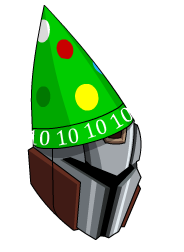 The description means "Happy 10 year anniversary, J6!" in Binary. Also see List of all J6 Helmets.